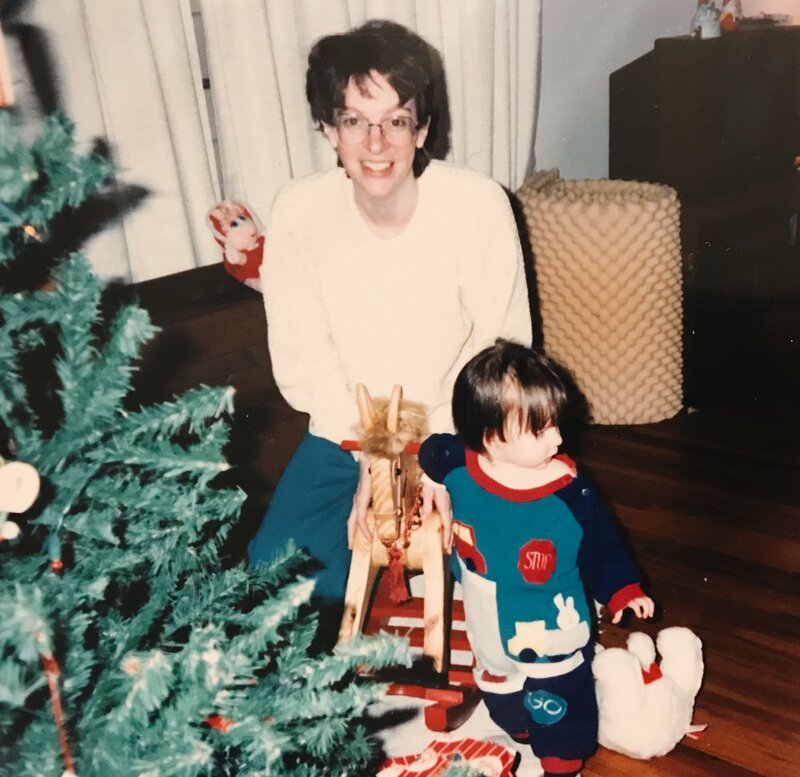 Grief + Hope + Holidays — HELLO, NORAH. This year, we’re hosting Christmas at our house for the first time. Our hope is to carry Mom’s legacy of thoughtfulness and love forward while at the same time transform it into something new – something that both honors our broken reality and celebrates the hope brought to earth by that simple family and their little babe placed in a lowly manger. Carrying grief through this holiday season can be an awkward dance — for those of us grieving as well as for those supporting us. Part of this stems from loss and grief being a snowflake experience; each loss is unique and everyone grieves differently. For some, carrying on traditions can provide comfort and spur beloved memories. For others, continuing those traditions may only put a blinding spotlight on that which is no longer the same. For those of you also carrying the weight of loss this season, I’m so sorry. This hurts. It’s heavy, and it’s just plain hard. Cling tightly to the hope that arrived in the stable and remember that when your soul is weary God is there and He is carrying you with gentle hands, giving you a place to rest. Give yourself grace – take a few deep breaths and try to allow extra space for your grief, knowing that things may not go as planned, and that’s OK.
For those of you coming alongside someone after loss, thank you for helping to lift the weight ever so slightly. I know that it can feel awkward at times; even after our own losses I still feel like a bumbling toddler when I try to be there for someone else. But awkwardness is so much better than silence. So, to help you navigate this awkwardness just a little bit better, I’ve pulled together a list of a few ways you can come alongside a grieving friend this season. Say their name. 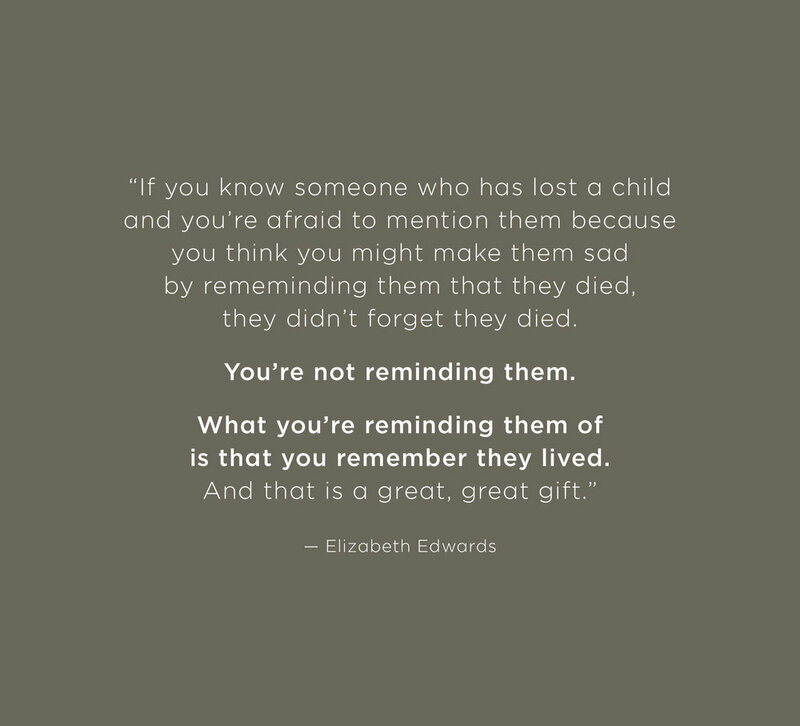 One of the greatest gifts you can give someone that’s grieving is to show them that you remember their person. If you’re hesitant to bring them up because you don’t want to make them sad, I guarantee they’re already thinking about them. Share stories and favorite memories, or invite your friend to share their stories about them. Silence is much more painful than any awkwardness in talking about them. Create a simple memorial. There are many small ways to honor a loved one and make their presence felt. You could light a candle, put up a photo, make their favorite dessert, or play their favorite songs. These simple things can make a big difference. Acknowledge that this time of year can be difficult. It doesn’t have to be extravagant, but even a quick text asking how they’re doing followed up by being willing to actively listen can mean the world. Grief, loss, pain – these aren’t things we as a society like to acknowledge or talk about, but for so many of us they are a very real part of our everyday life. Having our reality acknowledged can be life-giving. Give a gift that honors their loss. Maybe it’s handmade and something unique to their experience, or maybe it’s a curated set like from shops such as Laurel Box, Bottles of Tears, or Burden Bearing Baskets. Gifting in this way comes back to the power of acknowledging their loss. Do something different. Start a new tradition. As I said earlier, change can be refreshing. Would we have seen a sparkle Norah’s eyes as she experienced the magic of her first snowfall? Would she have gotten into snowball fights with her daddy or gone sledding down the biggest hill she could find? Would she have come barreling into the house, cheeks rosy from being kissed by the winter air and leave a trail of wet piles of gear and as she peeled off the layers one by one? Our Christmas this year looks like buying a new wreath for our daughter’s grave. It looks like two stockings without their people to open them. It looks like family pictures that will forever be short two members. But it also looks like hope. Hope that arrived wrapped in swaddling clothes that starry night. Hope that has defeated death. Friends, I pray that no matter what the next few weeks bring, that you may be able to find even just a moment to pause, catch your breath, and let your soul rest in hope. Sign up to receive updates from Hello, Norah.